Help us reach the Pearl Harbor Day Memorial Parade in Hawaii, December 2019! 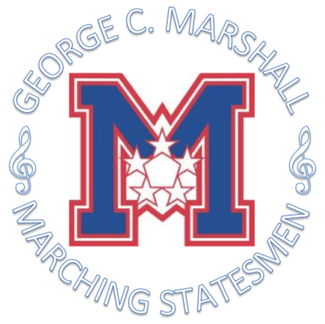 Our next fundraiser is the Marshall's Got Talent Benefit Concert on Saturday, May 11, 7 pm. We need stage crew, ticket sellers, ticket takers, concessions sellers, 50-50 raffle ticket sellers, and donation bucket holders. Stage crew, anyone who sells tickets for 4 lunch periods at Marshall, and anyone else who volunteers for 2 or more hours on this show gets in free. Tickets are only $5. If you have questions, or if you need to cancel within 24 hours of your shift, please email Kelly Sund.